Where to buy Beats Solo 2 Wireless in the Philippines? Beats Solo 2 Wireless is now available in the Philippines, The headphone rocks an elegant design and great audio experience. Where to buy it? Check it out here. Beats Solo 2 Wireless is now available in the country. This premium crafted wireless accessory basically has the same sound quality as its wired brothers only that you'll have the capability of moving around up to 30 feet from the audio player. Likewise, you can also take calls and set the volume rocker just like what you have accustomed to with the wired Solo 2. The Beats Solo 2 also has a built-in rechargeable battery that could give you up to 12 hours of mileage. Break through the limitations of wired listening. Unplug your Solo 2 Wireless, pair with your Bluetooth device and move freely for up to 30 feet of wireless listening. Take hands-free calls with the built in mic, and use the on-ear controls to adjust your listening experience without reaching for your device. Stay unplugged all day, thanks to the 12-hour rechargeable battery. The illuminated LED fuel gauge on the headphone lets you know when it’s time to recharge. Immerse yourself in an emotional sound experience. The Solo 2 Wireless has a dynamic and wide range of sound with a natural clarity. The ear cup padding buffers outside noise, bringing you closer to what the artist intends for you to hear. Regardless of what kind of music you’re into, you will feel the crisp, balanced sound in your Solo 2 Wireless. The Solo 2 Wireless headphone’s durable housing and compact, foldable design make it the ultimate on-the-go accessory. Whether you’re on the train, dancing in your living room, or at your desk, you won’t have to worry about cords getting tangled up. Plus, if you run out of power, plug in for unlimited wired listening. This premium headphone is ready for your life, wherever it may go. Solo 2 Wireless is engineered for comfort. Starting at the center of the flexible headband, the frame of the Solo 2 Wireless has a one-of-a-kind curve that gives it a custom-fit feeling. The headphone’s fast flowing curves, no visible screws, and pivoting earcups complete this natural fit, ergonomically designed for optimal comfort and sound delivery. Take your listening experience to a new level with Beats Solo 2 Wireless. Get yours in Black, White, Red and Blue now for only Php 18,500 SRP. Also available in Gold, Space Gray or Silver to match your Apple device. Call MSI-ECS at 688-3180 or email marketing@msi-ecs.com.ph now for product details and availability. 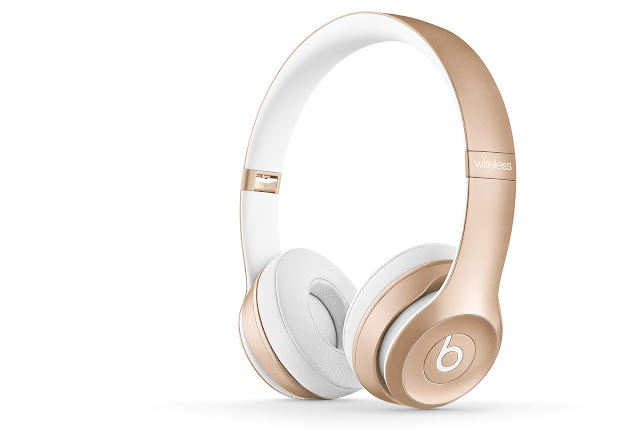 Pinoy Metro Geek: Where to buy Beats Solo 2 Wireless in the Philippines?